Got your breath back yet? What a hectic, action-packed few days they were! The centrepiece was the July Festival at Newmarket. But running hard alongside was good-quality racing from other top tracks, such as Ascot, York and Chester. Throw in the Darley Irish Oaks at The Curragh on the Saturday evening and the Juddmonte Grand Prix de Paris at Saint-Cloud 24 hours earlier, and it was hard to know where to turn. Peddled in some quarters is the myth that punters lap up this July Jam. In fact, they detest it. Or at least the dedicated punters do. Those who like to put the time and effort in. The collision of big meetings and big races makes it impossible to keep track, whether that be studying the races beforehand, watching them live or reviewing them afterwards. It all means we are less likely, rather than more likely, to have a bet, which must have a damaging effect on the turnover of bookmakers which, in turn, can hardly be healthy for the sport. Having said all that, it’s hard to envisage changes any time soon to what is a glaring example of the power the racecourses wield these days. I suspect the BHA would love to switch at least one of last Saturday’s meetings to the Sunday but, contrary to popular belief and the barrage of race-planning moans that proliferate Twitter, they do not have the authority to do so. The tracks choose, and given the fact that Ascot, York and Chester can all attract bumper crowds, whether they clash or not, they are happy to sit tight on Super Saturday. Of course, the congestion stems from when Newmarket controversially decided to alter the essence of its three-day July Festival and turn it from a genteel midweek affair that ran from Tuesday to Thursday. In 2005, it moved on a day to run from Wednesday to Friday and in 2011, it embraced Saturday. It’s no longer entirely clear what the original reason was. But improving and increasing attendances give the course’s executive a good one now. Last week’s aggregate crowd of 41,926 represented a five per cent rise and was the highest since the Saturday switch, so Newmarket will not be for budging. And why should they when, in the Darley July Cup, they have the weekend’s headline-attraction? It’s such a shame that races such as Ascot’s Summer Mile and York’s John Smith’s Cup, major events in their own right, have been nudged from the centre to the wings of the limelight. Newmarket’s own bet 365 Bunbury Cup has also suffered. Kavanagh’s words sprang to mind at Newmarket last Friday when everyone I spoke to who had attended the meeting the previous day, ladies’ day, complained of uncomfortable overcrowding. Friday was pleasant and Saturday’s crowd of 15,487 was just about manageable, but if the July Course has ambitions to raise its attendance figures further in the coming years, it is surely time to consider a wholesale revamp of its antiquated stands. Making the stands fit for purpose would not only improve race viewing, which is not the best at present, but also increase spectator capacity which, in turn, would alleviate congestion elsewhere on the course. It must be said, however, that the course was in magnificent condition last week. The epitome of rustic charm, beautifully presented, with varied and imaginative attractions, facilities, bars and food outlets. It must also be said that the quality and balance of the festival’s three cards could hardly be faulted. Friday’s highlight, the Falmouth Stakes, was the weakest renewal in living memory, although that should not detract from a deserved triumph that rewarded the durability and consistency of ROLY POLY. But the week’s second Group One, the July Cup itself, was a crackerjacker bringing together the season’s two most exciting 3yo sprinters and three top-notch older speedsters. HARRY ANGEL was the last of the five I expected to win, so full marks to Clive Cox’s rangy colt for landing such a prestigious prize and such a hot contest on only his sixth career-start. The son of Dark Angel also provided the happiest of 68th birthday presents for Godolphin guru Sheikh Mohammed, who looked fit and well as he greeted his latest equine hero amid a glut of winners that the operation is basking in at present. I lose count of the number of times I stress how much UK racing, and indeed the town of Newmarket, owes to the Sheikh, but it is worth repeating. Two other statistics from the weekend’s feast of action also worth repeating. The narrow victory by Alain de Royer-Dupre’s SHAKEEL in the Grand Prix de Paris represented the 100th Group One success of jockey Christophe Soumillon. 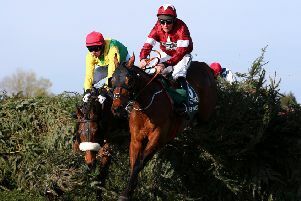 A feat, which should not be under-estimated, by a quite brilliant jockey who is indeed too often under-estimated, particularly in this country. Also, I was amazed to learn that the taking victory of Aidan O’Brien’s CLEMMIE in Friday’s Duchess Of Cambridge Stakes, sponsored by Bet 365, at Newmarket was only the second ever by a son or daughter of supersire Galileo over 6f in Group company across Europe. No wonder jockey Ryan Moore labelled her the best 2yo filly we have seen so far this term, which is saying something considering he has also partnered exciting Royal Ascot winner, SEPTEMBER. Maybe both Clemmie and September can help to fill the huge void left at Ballydoyle by the sad retirement, announced this week, of the majestic MINDING.